I AM OBSESSED WITH THESE HUMANS!!! But the truth is, it hasn't always been sunshine and rainbows. You used to be able to cut the tension between us with a knife. In fact, I think the rest of our squad would agree that our team was the most disunited team as we launched onto the race. But we persevered, we fought the good fight, we CHOSE to love each other. And man I'm so glad we did. I met all of them at training camp (TC) in October 2016. In fact, I met our whole squad then. All 54 of them. 54 people is a lot. 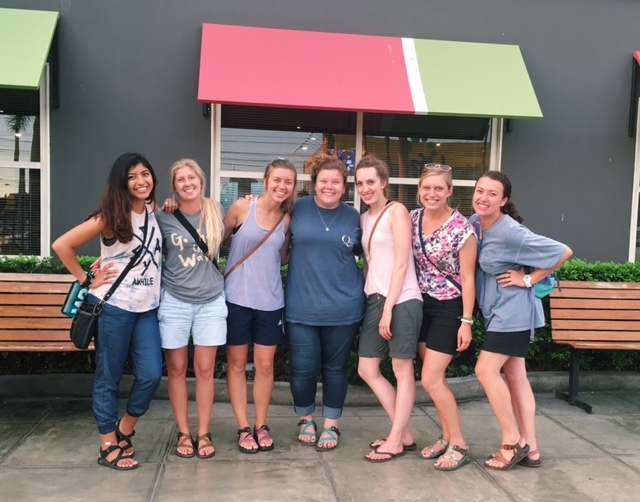 Naturally, I spent each day at TC intentionally setting aside time to build relationships. And I built some good ones. At the end of TC when they announced our teams, I looked around at the 6 people I was matched with. One of my first reactions was to burst into tears. (Sounds dramatic but we were also sleep deprived, food deprived, cold, uncomfortable, and emotionally picked apart!) I looked at them and wondered WHY? What did AIM see in them that they thought would work with me? Why didn't I get paired with any of the people I had so intentionally built relationships with? I didn't have anything against them except that I didn't know them at all. I was about to spend every second of the next 4+ months with these strangers! These are the people I would be living with, working with, sleeping with, grocery shopping with, laughing with, crying with, fighting with, singing with, dancing with, literally EVERYTHING you can thing of with. I went into month 1 in Colombia hesitant but with an open mind. We went through a brief honeymoon stage that was full of fun and continuous laughter. But AIM knows that life is more than fun and games and forced us to face the tough stuff. They sat us down at debrief and asked us to talk all of our problems out. And we did. And it was hard. And it was ugly. And there were tears. 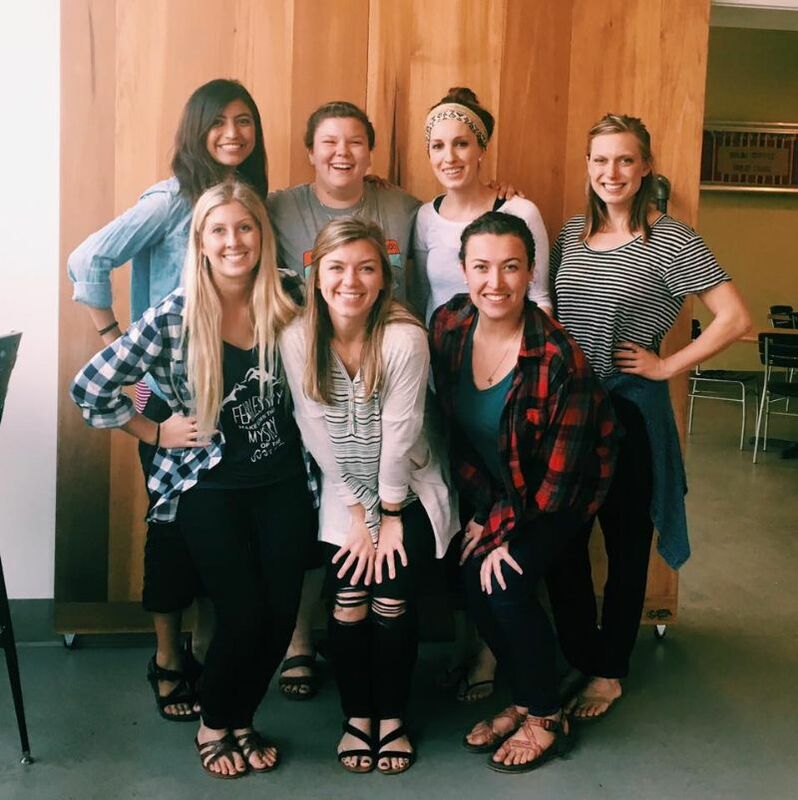 Put 7 girls together and ask them to do everything together - it's tough! The love for each other didn't come easily. We had to choose it. Every day. Sometimes every hour. We had to learn unconditional love and practice it. 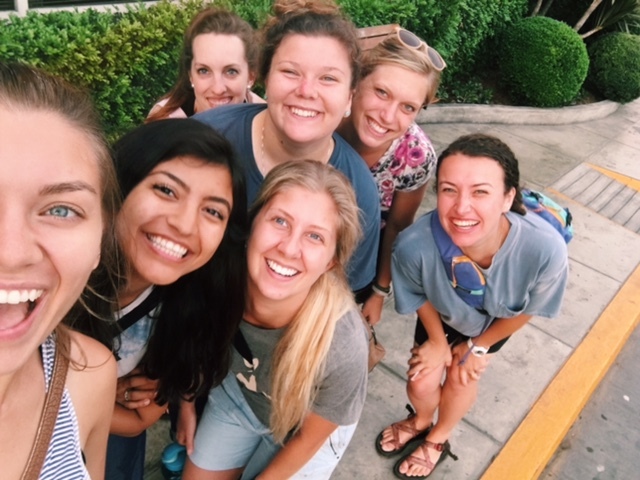 During month 2 in Ecuador, I could feel myself growing closer and closer to each individual team member. Things weren't perfect but I could feel us growing, together. 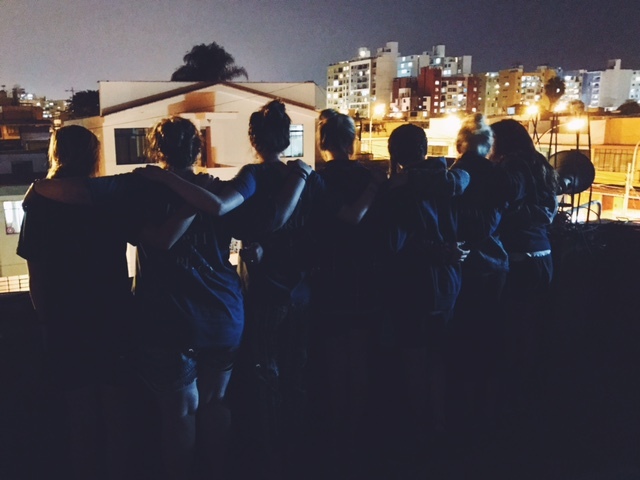 Month 3 in Peru has been our toughest month thus far with ministry and living conditions. But ironically, it's been our best month as a team. We've laughed so hard it hurts and have too many inside jokes to name. They know what to do when I'm grumpy or sad. They show me grace. They lift me up. I'm so proud of each of us for pushing through and fighting for each other. I wouldn't trade a single one of them and I'd pick them every time if I could. Brittanee Danae - my fellow 29 year old. She's the mama of our crew. She seems quiet but don't let her fool you. She's one of the most fun girls and is always up for an adventure. She takes care of all of us and is the first person we run to at the first sight of any illness. She's examined more body parts than I'm willing to share and whether it's groceries or a llama sweater, she's always down to shop - and make killer bargains. You can hear her laugh from a mile away. I've seen her overcome adversity firsthand. She left for a bit during month 1 and we felt it. There was a piece of our tribe missing and her being back has made all the difference. Delaney Rose - our sugar mama. She keeps us in line - with money, time, and basically all logistics. She's a rule follower so when we can convince her that a rule is meant to be broken, you KNOW it's legit. She has unwavering faith and is always willing to listen. She's Switzerland, always a calming force and non-biased party, and Lord knows we need that. Emily Elizabeth can make me laugh all day everyday. Her sarcastic sense of humor is my jam. Sometimes all she has to do is give me a look and I can't control my giggles. She knows the Bible more than anyone I've ever met. I go to her with all of my faith questions and even when she doesn't have the answer, she'll follow up days later with insight. There have been nights where she has stayed up with me for hours calming my curious mind. But my favorite thing about her is her loyalty. When she loves you, she's all in. Kalie Rose, the woman of many talents. A photographer, artist, singer, chef, graphic designer, barista, yoga instructor, friend. I could keep going but the point I'm trying to make is that we hit the jackpot with her. Along with her many talents, she has the biggest servant heart. She's the first to volunteer even when the job isn't so appealing. She listens and offers gentle advice. She never sleeps and will also never turn down coffee. Ever. I connected with her on the first day of TC and our friendship has been growing ever since. Kelsay Renee - my fellow Texan! Our cowgirl. Our prayer warrior. I admittedly had false judgements about her before I got to know her. I didn't see how we could get along but boy was I wrong. She's one of my favorite people to be around. At only 22, she's incredibly full of wisdom. I know any advice from her will be Godly. She always directs us to prayer. When she talks about Jesus, you'd think she was talking about her best friend. And it's because she is. She's a talented videographer and she pushes me to be better. She encourages me and holds me accountable. Sara Taylor - my little Sarita. She's the leader of our team. She wouldn't have chosen this role for herself but I'm glad that AIM did. About a week after TC I realized that her name was meaningful to me. In 2005, during the mission trip that lead my heart to missions, I met an orphan named Sara. I still think of her often. The Lord putting me on a team with a leader named Sara was like a little nod from Him that I am where I'm supposed to be. Then during month 1 we had another revelation. Sara has an estranged older sister who she longs for. Guess what her name is? Jessica. And she's my age. Oh, and Sara's middle name is Taylor. Yea, God knew what He was doing. Month 1 we had to share a bed with each other, month 2 we shared a bunk, month 3 our beds were beside each other and somehow we always end up sleeping next to each other at whatever hostel, floor, etc that the race leads us to. She drives me crazy but also fills my heart. She's my cheerleader. She steals my stuff and does my hair for me most days. She's the little sister I never had. I wouldn't have picked them then but I'd pick them over and over again now. God knew what He was doing. His plans are always, always better.